Clay lives in New York City, but he’s run his therapy practice from Rome, Aruba, and London as well. 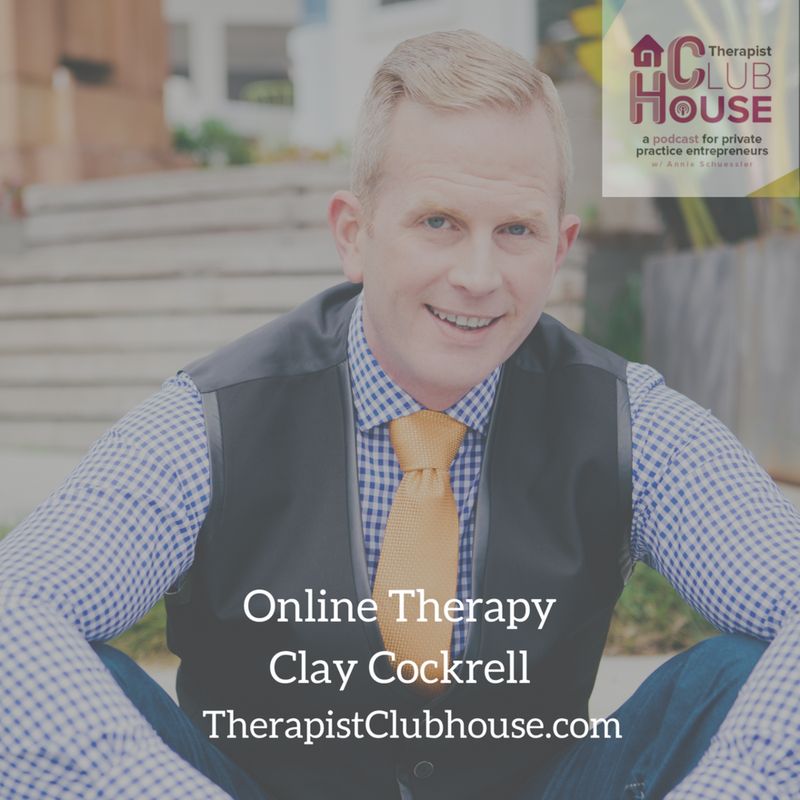 He started providing online therapy at the request of clients and made some mistakes early on. Then he learned everything therapists need to know about providing online therapy and started sharing that expertise with the rest of us. Now he runs a directory for people searching for online therapists. Clay has always been an innovator. He’s the founder of walk and talk therapy, the practice of walking outside during sessions. As an innovator, Clay has been out on a limb a few times. In this conversation, he talks about two scary moments in his business and what he learned from each one. See Clay's generous discount code below. How he manages his time around marketing. His fee and how other therapists respond to it.